Schezwan Sauce Recipe – Let me tell you upfront, this recipe got nothing to do with Mc Donald’s schezwan sauce! The recipe I’m sharing today is an Indo-Chinese recipe, and I is popular in India. 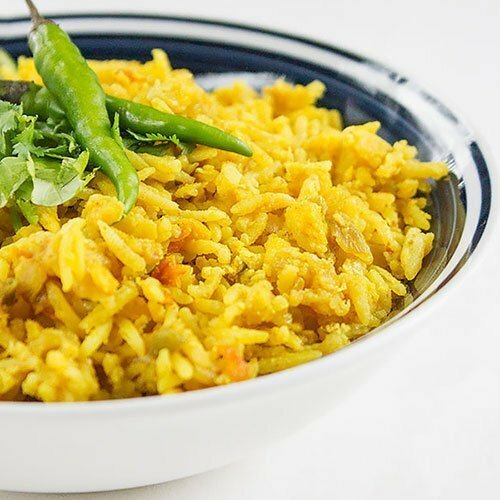 On the streets of India, you can find Schezwan fried rice, schezwan noodles, and many more dishes made with Schezwan sauce. This red chili sauce recipe has a lot of chilis, I’m talking 2 full cups of chili, and 12 garlic cloves. I don’t want this to scare you because then you’ll miss on the incredible taste of this amazing sauce. How To Make Schezwan Sauce. 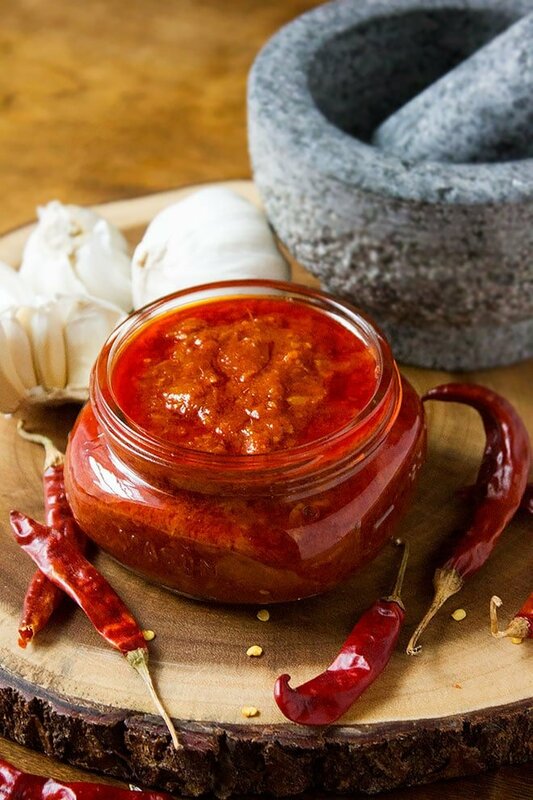 Making schezwan sauce is extremely easy, it takes around 20 minutes to cook and be ready for you to enjoy, but since you are dealing with very hot red chilis, there are few things that you have to keep in mind. In the process of making Schezwan sauce, you will have to remove the stem of the red chilis and you have to snap the red chili in half to remove the seeds. There is oil in red chilis and it could reach your eyes and you might even feel it in your throat. Do not bring the red chili close to you, keep your hands far and away from your face when handling the chilis. Wash your hands and everything contacted the red chili with soap and cold water. 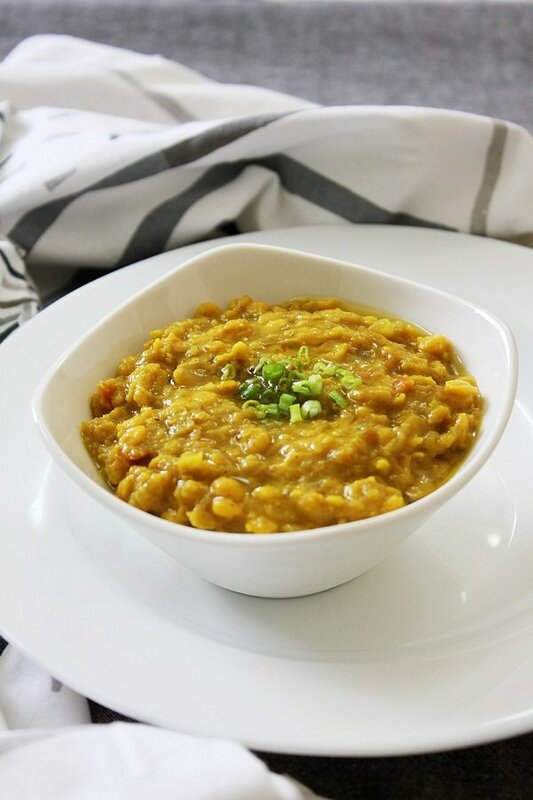 You will get around one full cup of Schezwan Sauce following this recipe, I think it is a good start and this way you can find out if you need to make any changes to the recipe. In some recipes Vinegar and sugar is added but I do like to use this sauce in different recipes and I want to have control over how sweet my dish taste. 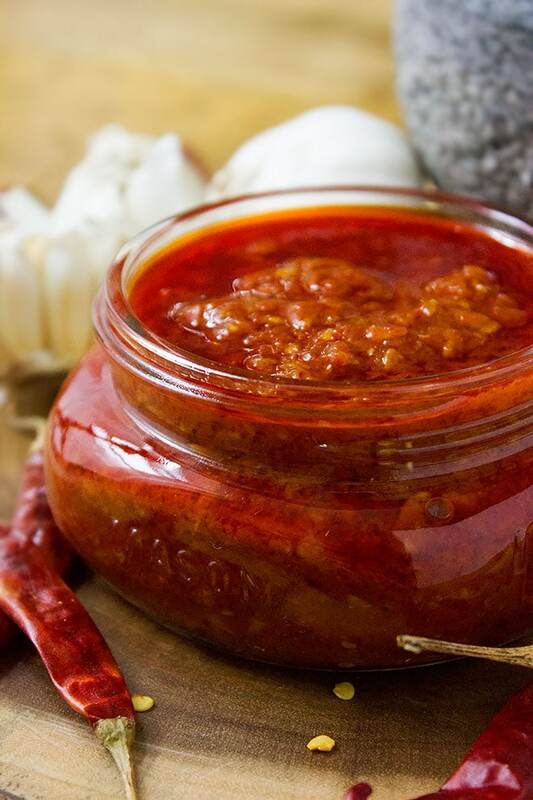 One last thing, do not reduce the amount of oil used in this recipe, the oil works as a preservative and make the shelf life of this schezwan sauce longer. 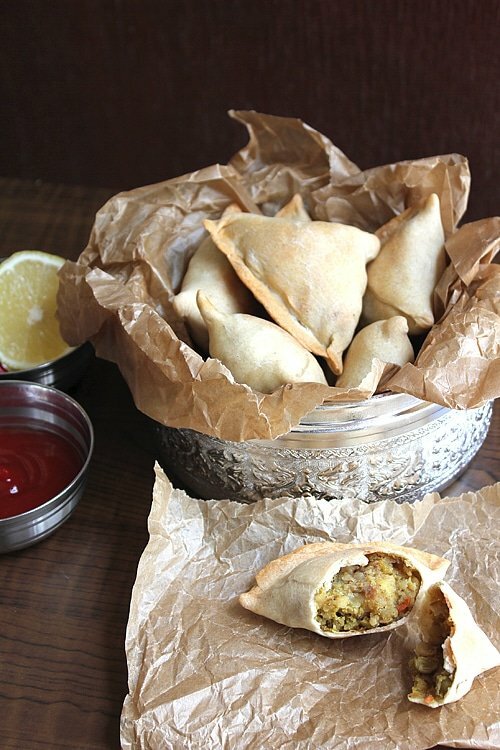 I hope that you give this recipe a try, you might develop a taste to fiery dishes after this ? 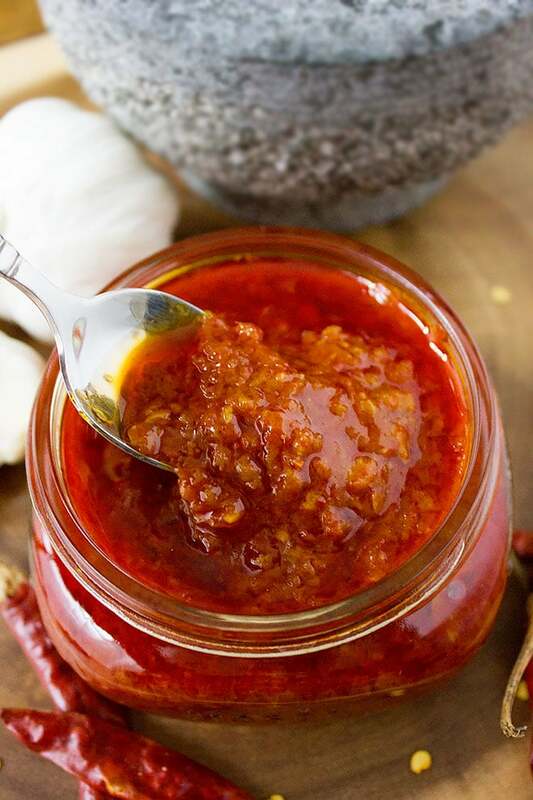 Fiery red chili sauce recipe. 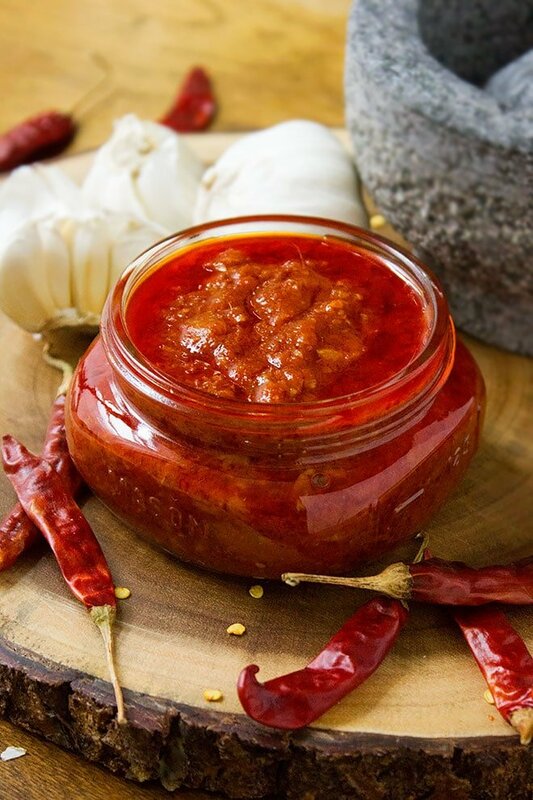 Homemade schezwan sauce is easy to make and tastes better than store-bought. Remove the red chilis’ stem, deseed it, and soak in warm water for 30 minutes. After the time is up, remove the red chili form the water, discard the water. 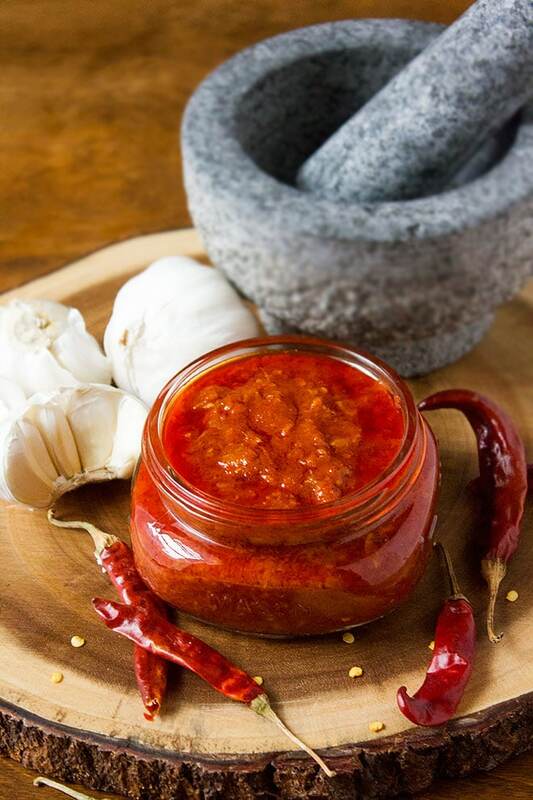 In a blender add the dry red chilis and 3 tablespoon water, blend until smooth. Keep aside. In a small bowl, mix ½ cup water, ketchup, salt, and soy sauce. Keep aside. In a very hot pan, add oil and then add the ginger, garlic, and celery. Reduce heat to medium and stir for one minute. Add the red chili paste to the garlic and ginger and stir on medium heat for a minute. Reduce the heat to the lowest, cover the pan and let it simmer for 5 minutes. Uncover the pan and add the ketchup and soy sauce mixture, stir for one minute, cover, and let it simmer for 15 minutes on the lowest heat. Uncover, and stir for few seconds, if the oil is separated from the sauce, then your schezwan sauce is ready. Turn off the heat. Wait until the sauce is completely cool then transfer in an air tight container or a jar. Keep in the fridge and use for up to three weeks.